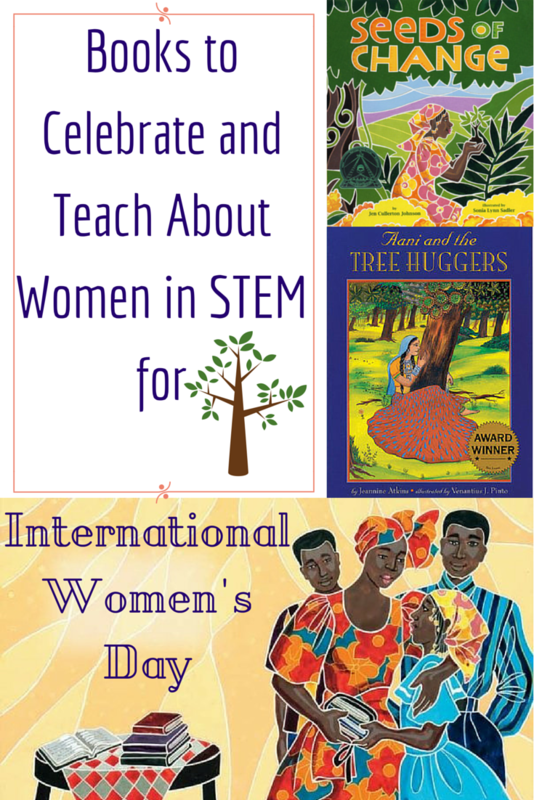 In honor of International Women’s Day on March 8, explore STEM concepts with students through the lens of environmental science and conservation. Students can read about women-led conservation movements in Kenya and India. A picture book biography of scientist Wangari Maathai, the first African woman—and first environmentalist—to win a Nobel Peace Prize (in 2004) for her work planting trees in her native Kenya. Blazing a trail in the field of science, Wangari used her knowledge and compassion to promote the rights of her countrywomen and help save the land, one tree at a time. 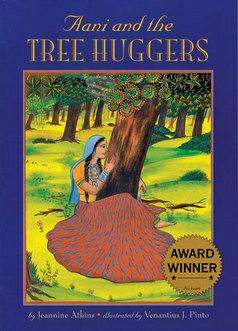 Based on a true event in northern India, Aani and the Tree Huggers presents an enduring message of environmental action. Aani acts with quiet, instinctive heroism to save not only her special tree, but also the village’s beloved forest. Ask students what they know about Kenya and India. Help students locate these countries on a map or globe. Ask students what they know about deforestation. How do trees help people and ecosystems? What are examples of ways people depend on trees? How do these women respond to the destruction of trees in their communities? What causes deforestation in these communities? What do these texts teach about interdependence? How are we responsible for our environment? What suggestions do these books offer to take care of the world around us? How do these books demonstrate the value of conservation? What risks do these women take for their goals? Why do you think they took these risks? What are their motivations to act? How do these women empower other women? How do these women demonstrate perseverance and leadership? 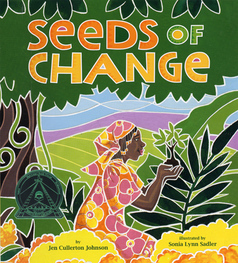 Create a Venn Diagram comparing the central figures, Aani and Wangari Maathai, or the books, Aani and the Tree Huggers and Seeds of Change. Encourage students to research the Chipko Andolan movement (Hug the Tree Movement) in India or the Green Belt Movement in Kenya. What events took place? What was the purpose(s) of these movements? What were the results? Study the history of a nearby state or national park. Who was involved in its establishment? What challenges did people face in its creation? What makes this place unique or significant? Show students how to find a state or national park near them. Visit the National Park Service’s Find a Park web page. Have students identify the trees in their neighborhood. Check out the Arbor Day Foundation’s step-by-step Tree Identification guide. Help students study one of these species. Describe its physical features, including trunk, leaves/needles, and roots. Where is this species found? What types of animals live near, in, or among this species? How do people use this tree species? What survival challenges does this species face today? Categories: STEM Friday round-up | Tags: books for STEM, conservation, environmental activism, environmental science, Nonfiction, STEM and diversity, STEM Friday, women in STEM | Permalink.